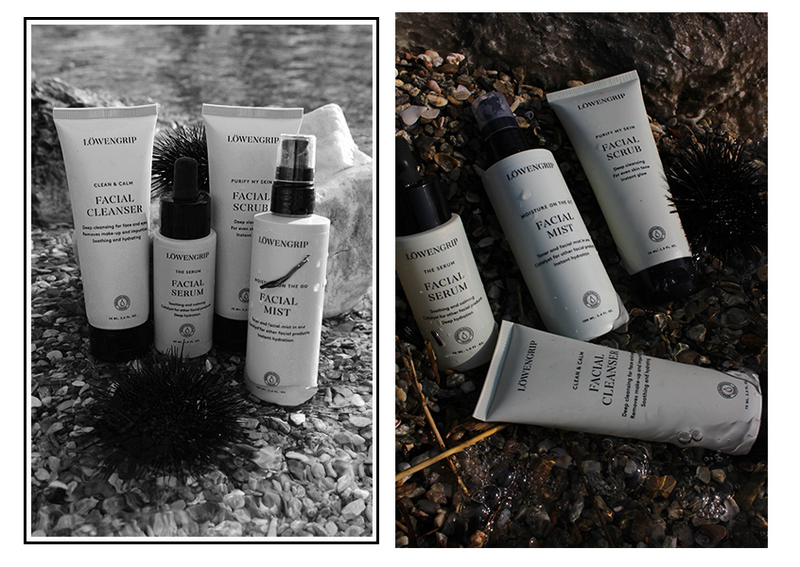 Two months ago, i received a lovely package by Löwengrip , a Swedish brand that was founded by Isabella Lowengrip in 2012 ,in order to provide us quality skin and scalp care products .The brand ,although new in the world of beauty, has taken great steps and it has become one of the leading brands of Nordics. I have never been to Sweden, but the clear and sophisticated packaging,the sustainable ingredients the brand uses, always with respect to the environment, reminds me everything that i have heard for the Swedish culture...My Löwengrip experience has just started. I trusted Löwengrip because of its innovative way of production,true to nature and real people-users who were trying the products step by step during the conclusion of the formula. I have inserted 4 new products in my skin care routine , a facial cleanser, a scrub , a facial mist and a facial serum.I have been using them for 1 and a half month and i am so ready to share with you my first thoughts! Everything starts with a cleanser,i honestly can't live without a good one,it is my life savior.I wash my face 3 to 4 times a day,whenever i feel my face dirty or heavy because of the dust and city pollutants.This is exactly why i need a cleanser which is going to clean my face gently, leaving my skin clear -feeling that kind of every single cell is waking up -but NOT dry at all.It keeps my face hydrated and soft. I am not that type of girl who has thousands of beauty products,the less the better. 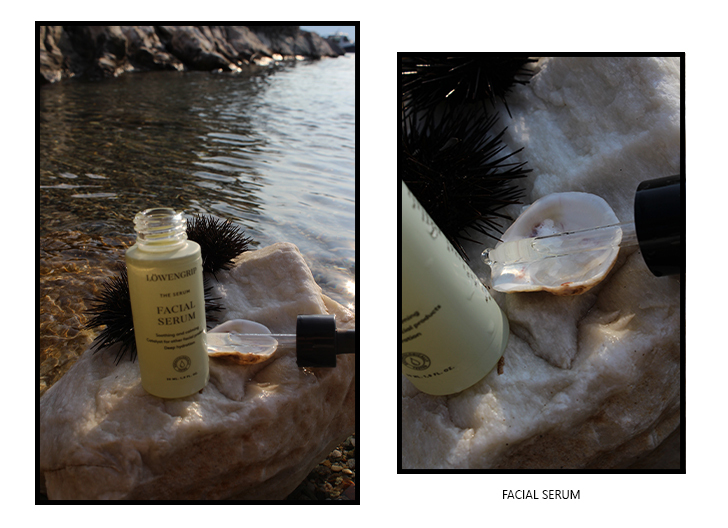 ''Clean & Calm'' cleanser, makes my day,simply because it softly removes make-up too! A gentle facial scrub ideal for sensitive complexion like mine.The scrub helps the skin's exfoliation, the aged-dead cells are falling apart and new ones are taking their places.The small granules massaging the skin helping blood circulation,the result?GLOW GLOW, natural glow and pure softness.I use this once a week. I have never used a Spray Mist before, firstly i had a lot of fun trying to understand which was the right distance to spray it, thennnn i had some problems with my eyes -hahaha- cheers to me,the professional beauty guru! I guess this Moisture mist is everything a girl needs especially in a rough day or during vocation.Helps the skin hydrating so quickly due to its pH formula.It tones your skin and leaves a natural glow look(my kinda favorite part.) I use it every day, before my facial creme and OFC whenever i feel dry. WELL, this was my very first time experiencing a serum!It was love at first sight.The package,the epitome of simplicity and elegance.A lightweight formula that helps my skin stay hydrated and soft 24/7. Besides soothing and calming my skin,it is a catalyst for other products too,which means that it helps them work better on my skin.I use it every time after cleaning my face with the cleanser and before my night creme,especially during summertime i don't use the serum in daytime. So i adopted that kind of..Swedish skin care routine and i am pretty happy with the results.I haven't noticed any problems regarding new spots or pimples ,while i was using these 4 products.My face is hydrated and really soft.SO i guess it is a big YES. I took these pictures while we were on a road trip to picturesque Trikerion at Pelion. 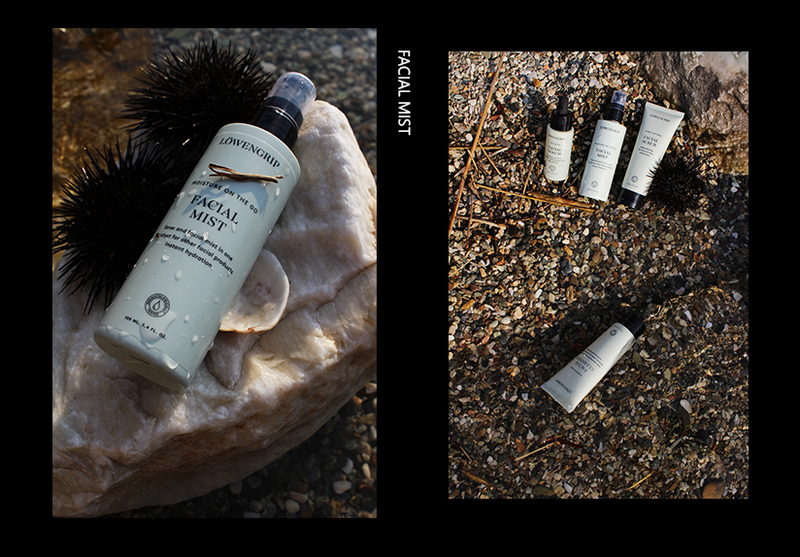 I mixed the Swedish simplicity with the Greek Natural scene of blue salty sea and i created a concept that is suitable to my lifestyle.From now on when i close my eyes, while using these products this scene is coming up on my mind, truly ethereal. 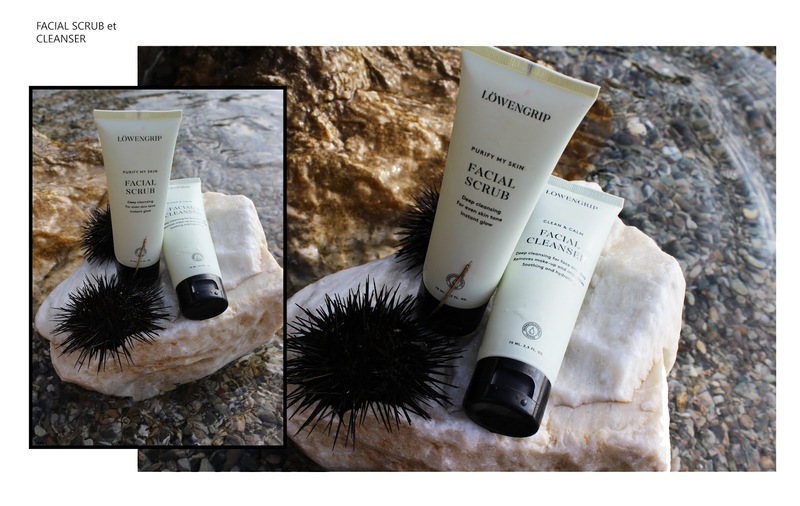 Discover the Lowengrip skin and sculp care products HERE.